So this post has taken nearly a year to finally get up – no lies hahaha but hey! all good things take time right? lol! 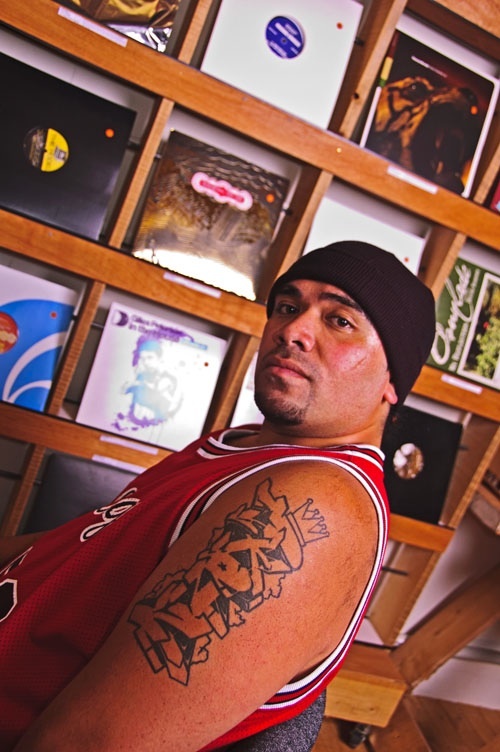 If you want to read more about Mark aka Mareko aka Big Rex aka ZE NICEST rapper in the Universe then you can read more on him here. 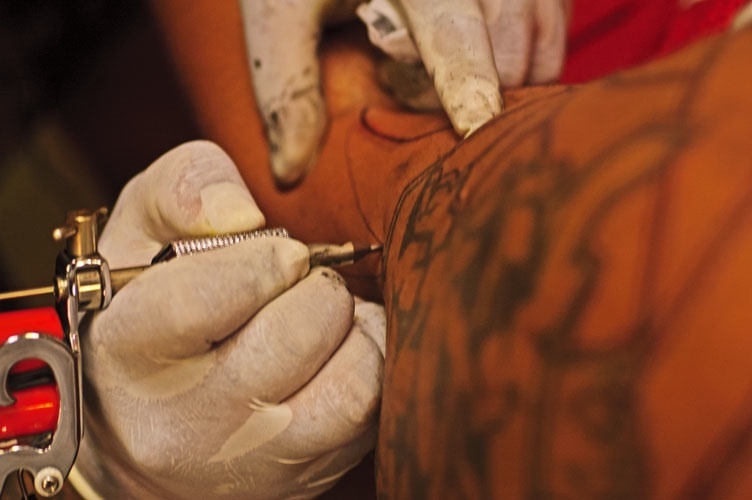 But for now here’s the story on his ink! 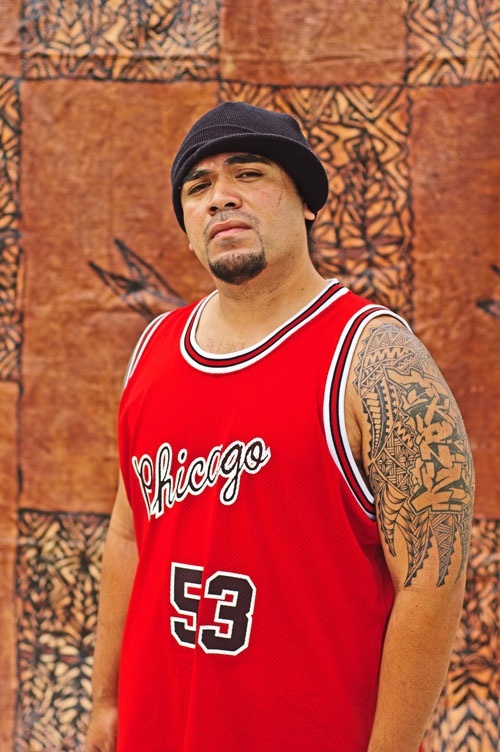 Mark: The Mareko Tatt was designed by Juse1 from Welly and was done by Karl Cocker from Kalia Tattoo* The Fala pattern^ was done by Marv. 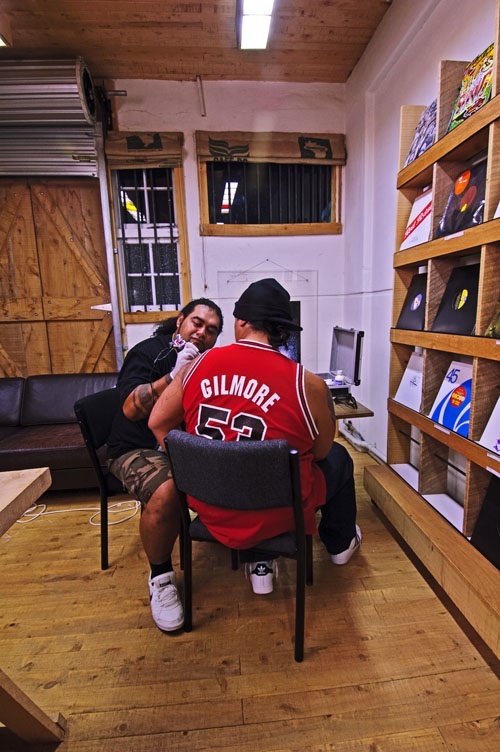 *Kalia Tattoo is based in Papatoetoe, Auckland. ^Fala is the Samoan word for mat and is also a weaving pattern. Was checking my Samoan translation with Nate Nauer and he said it also means “Pineapple” lol! Shot Nate! 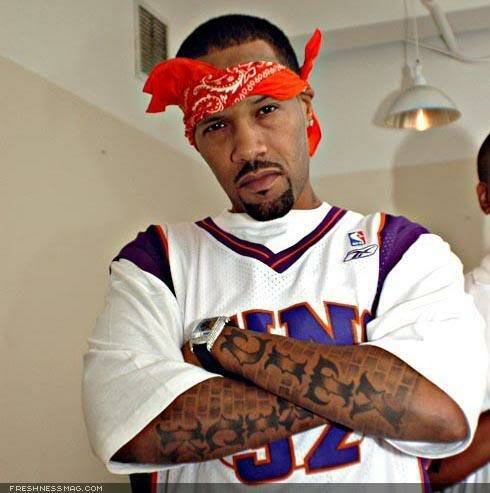 Mark: I tried to do what Redman has on his forearms. If you can find a pic of it you can see how he’s got brick patterns, but I wanted to flip it to the fala patterns. Marv suggested that I add those gaps in the fala patterns. 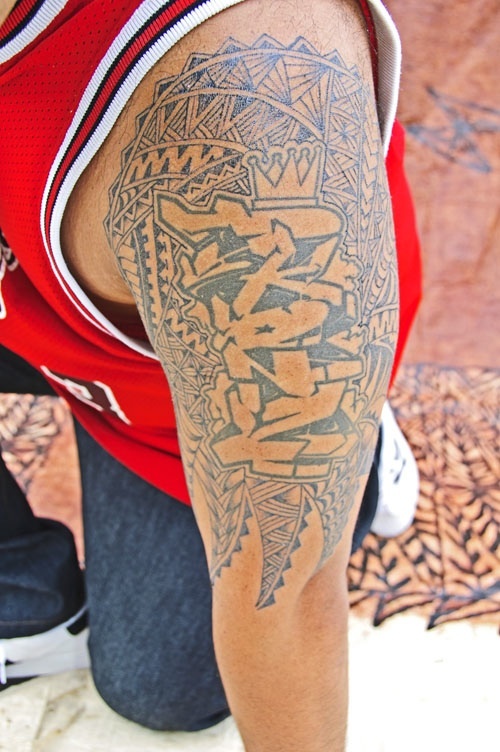 Mark: The DKONZ tat was designed by Askew and was inked by Tom Mcmillan an artist at DISRUPTIV studios. The island designs were done by Pena Mann for the White Sunday 2 album. 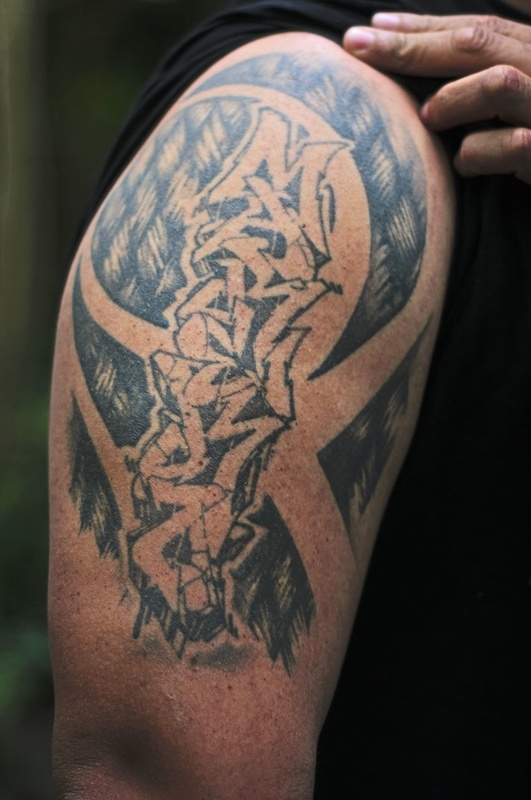 Mark: Basically all my tatts are representations of the 2 cultures I represent. 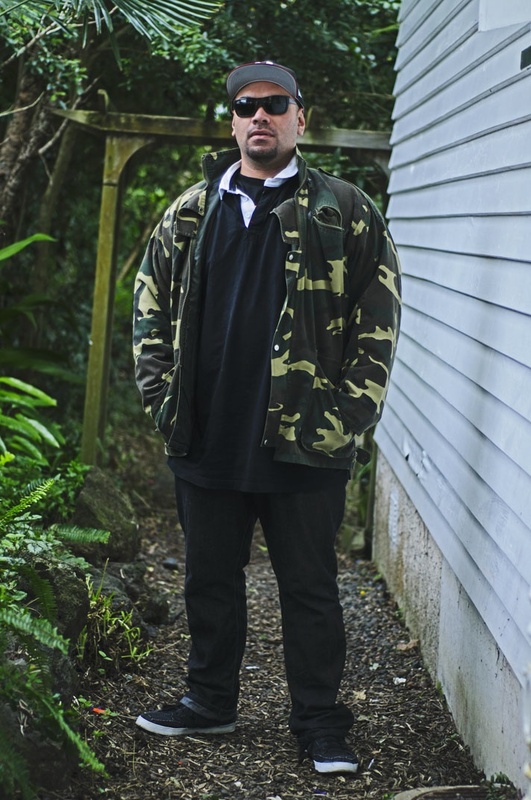 Samoa and Hip Hop. Shot cuuuuuuh!! Well Damn! There you have it!